Memory Maker – New ride added!!! Since you’ve purchased the expensive “Memory Maker”, how would you like to get one more picture added to your account? Well good news!! 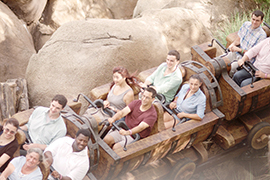 The Seven Dwarfs Mine Train Ride will now capture your picture and video and link it to your My Disney Experience account when you are wearing your MagicBand and have purchased the Memory Maker. You will also be able to view, share and download the pictures and videos from your My Disney Experience account. What a fun way to share with your friends and family how much fun you had on the new ride. It is also a wonderful way to keep your memories. 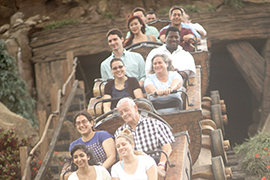 Let me know what you think of the Memory Maker and the new Seven Dwarfs Mine Train Ride, I can’t wait to ride it in a few short weeks! !